Quicken last month moved to a software-by-subscription model for Canadian customers, and may do the same for those in the U.S. who rely on the personal finance program. Unlike a pilot program that launched in April 2016, the Quicken subscription is not a pure cloud-based service, but relies on software installed locally on a Windows personal computer. The two subscriptions available to Canadian users cost $40 a year (Quicken Cash Manager) and $90 annually (Quicken Home & Business). The core software must be installed on a Windows device, and will, Quicken said, be updated "to make sure you're always on the newest version." More importantly, however, is that the subscription offers one year of what Quicken dubbed "Connected Service," the back end that supports transaction downloads from banks, credit card companies and other financial organizations. Like most vendors offering software subscriptions, Quicken will automatically ding the customer's on-file credit card for renewals. But if customers do not renew their subscription, they will lose more than just access to downloads from their bank. "While you can continue to access your data and run reports, you'll no longer be able to download transactions, or add manual transactions [emphasis added]," a FAQ said in reply to a question about what happens when access to Connected Service ends. The restriction is no different than what other subscription services place on customers. Users who stop paying for Office 365, for instance, can no longer create new or edit existing documents. But the idea that they could not continue to track finances by manually entering transactions fueled push-back from Quicken customers. "If the subscription isn't renewed, manual access and updates to the data need to be allowed, otherwise the company will be perceived to be holding the customer's data hostage," argued Dan Glynhampton in a message posted to a Quicken support forum. 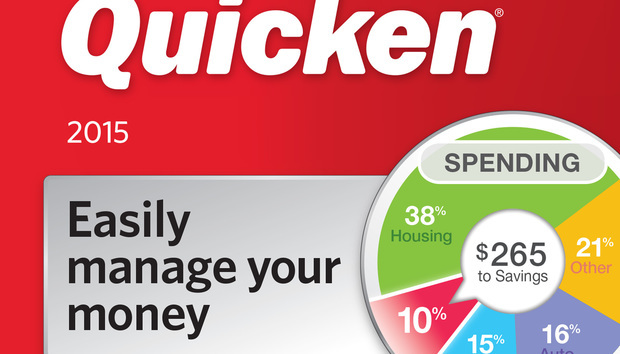 "Quicken is supposed to help me manage my finances, not prevent me from managing my finances," added mshiggins on the same thread. When a Quicken representative intervened on the forum to say that the only real difference between a subscription and the older licensed software is "that manual transactions can't be added" when the former expires, users were quick to respond. "If at the point the subscription ends my data essentially becomes frozen in time then that makes the program absolutely useless to me," asserted Perculiar_Investor. Quicken had long used a similar "sunset" policy, as after three years a licensed version of the software would stop downloading transactions from online sources or letting users pay bills electronically. Even then, though, customers could add transactions manually. In another answer to a question in the FAQ, Quicken implied that all versions, including those aimed at U.S. consumers, would be offered solely as subscriptions. "All future Quicken products will be subscription products," the FAQ said. The move to subscriptions is not a surprise. Last year, Quicken CEO Eric Dunn said that the company -- which had just split from its parent firm, Intuit -- was investigating a subscription model for the software. "We're open to that. It could make sense," Dunn said in April 2016. Quicken did not immediately reply to questions, including whether the subscription would be the only option for U.S. users, and if so, when.